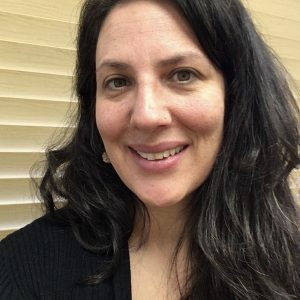 Nora Oppenheimer is a maternal child health and social work professional with over 20 years of experience addressing the needs of women, young children and families. Her career has moved between direct support in a variety of settings — from prisons to schools, homes to hospitals — as a doula, midwife’s assistant, perinatal psychotherapist, and social worker, to systems level research, program development and evaluation. Her recent work focuses on psychosocial health and emotional wellbeing to effect health equity and social justice. As an early Intervention social worker, she co-chairs the Hampshire County Perinatal Support Coalition and is working to increase best-practices with substance exposed children and families. She was one of a handful of clinicians selected for the MA Department of Public Health’s Moving Beyond Depression pilot, delivering in-home Cognitive Behavior Therapy for Maternal Depression. Nora’s involvement in MotherWoman began in 2016 when she joined the Partners and Community Together (PACT) for Moms steering committee to explore innovative models to enhance perinatal mental health. She holds a Masters of Social Work (University of Washington) focusing on Community-Centered Integrative Practice, and specializing in critical empowerment practice with multi-ethnic communities, refugees and immigrants. Her professional training includes: Intergroup dialogue; birth and postpartum support and childbirth education; trauma-systems therapy for refugee youth; organizational change leadership and building empowerment organizations; community-based participatory research and planning; and policy analysis focused on social policies affecting pregnancy, birth, breastfeeding and motherhood.